Of all the big, world-remaking bets on the genome-editing tool known as Crispr, perhaps none is more tantalizing than its potential to edit some of humanity’s worst diseases right out of the history books. 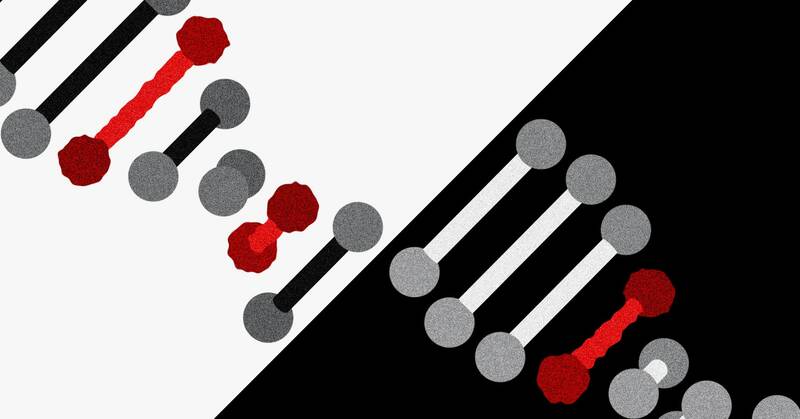 Just this week, Crispr Therapeutics announced it had begun treating patients with an inherited blood disorder called beta thalassemia, in the Western drug industry’s first test of the technology for genetic disease. But despite the progress, there remain a host of unknowns standing in the way of Crispr-based medicines going mainstream, chief among them safety. That’s because the classic, most widely used version of Crispr works by slicing open a strand of DNA in a specific spot in the genome and letting the cell stitch it back together. The major concern is that an army of DNA-breaking enzymes might sometimes wander astray and cause unintended mutations in places it shouldn’t. When a more precise technique, called base editing—which swaps individual letters of DNA without severing the strand—arrived in 2017, it promised a safer way forward.The technique had specific potential for the two-thirds of the 50,000-plus human genetic diseases caused by a single-letter screwup, and investors wasted no time licensing the technology. Researchers in China immediately began testing one such base editor in viable human embryos. It now appears that may have been premature. Using a new method for measuring unplanned edits, a team of American, Chinese, and European scientists has found that the same base editor, widely in use by researchers today, actually messes up the genome at an eyebrow-raising rate. Their report, published today in Science, claims a 20-fold increase in mutations over what would be expected in the normal course of cell division and repair in mouse embryos. “That number will vary depending on a lot of factors, but the major takeaway is that if you want to move this particular base editor to a clinical setting, you should probably be concerned,” says Stanford biochemist Lars Steinmetz, a co-author on the paper. That advice goes out especially, he says, to scientists who might be tempted to skirt rules and regulations to rush base editing into humans, a concern that’s been on his mind since the Crispr baby scandal broke in November. A little bit of backstory: In 2017, Nature Methods published a one-page letter claiming that a Crispr treatment that cured two mice of blindness also caused a massive number of unintended mutations. Crispr stocks plummeted and scientists threw shade at the dramatic results, which relied on sequencing each of the mice and comparing their DNA to unedited siblings. The paper was eventually retracted, and the changes determined to be just the natural genetic variation between different individuals of the same lab strain. But the episode pointed out an important blind spot in these error-detection technologies. Virtually all of them use some sort of algorithm to pick places in the genome where Crispr is likely to accidentally go to work, and observe what happened there. “This is a field where you only see what you look for,” says David Jay Segal, a molecular geneticist who studies these effects at the Genome Center at UC Davis, and who was not involved in either study. Scanning the entire genome for changes would be ideal, he says. But no one had figured out a good way to do that in living animals with the proper controls until Steinmetz’s group came along. The trick was in making each animal its own control. Stay with me. The scientists used mouse embryos that were only one cell division old—so consisting of only two cells total. Into one cell they injected Crispr editing constructs and a reporter protein called tdTomato. The other cell they left alone. And then they let the embryos grow for 14 days. Under a special type of microscope all the cells that had been edited glowed bright red, while all the unedited cells stayed dark. They used that fluorescence to sort the cells, sequence them, and compare all six billion base pairs. The idea was to design a method that could detect every unintended change for any type of Crispr system, says Steinmetz. “We wanted to be able to pick up edits mediated by mechanisms we don’t yet understand.” Think of it like a red flare gun; It can send up a warning signal, even if inside no one’s sure exactly what’s going on. Well, not exactly no one. The authors speculate that one of Liu’s base editors tends to grab onto any naked, single-stranded DNA it comes across. In a rapidly dividing embryo, cells have a lot of that kind of DNA exposed, creating more opportunities for the base editor to mess up. Liu, who knows more about it than anyone, says that’s exactly right. Because that particular editor can bind DNA so well on its own even without its Crispr guide,“it’s not so surprising to see these unwanted edits,” Liu, whose base editors have been licensed by an $87 million start-up he cofounded, says his lab has already evolved number of more precise versions of his original base editing approach. That work is still being prepared for publication, he says. The question on Murray’s mind now, is “how many errors are too many?” Cells are prone to making their own mistakes—on the order of once every million to 100 million base pairs, with more for skin cells, and fewer for sperm and eggs. Does it matter if an overactive gene editor makes that number closer to one in 500,000? What’s one messed up gene in one cell out of your 37 trillion? What if the mistake in that one cell grows into a cancer? And if a patient is on death’s door, how much does it matter? Murray and his colleagues on the NIH consortium will spend the next six years grappling with some of those questions. He imagines they’ll one day be able to calculate risk curves to help doctors and regulators assess the tradeoffs of Crispr-based medicines. “I don’t think we or anybody can come up with a hard and fast rule, that above a certain number of errors it’s not useful for anything and below which it’s useful for everything. Every disease is different. Every therapy is different. Every patient is different,” says Murray. “But you have to have the data first to start the discussion.” Crispr therapies, it appears, now have one more test to pass. Previous PostPrevious Should we purchase euros for a trip to Italy in April?